For the first in what I hope becomes a series of inteviews with poets, I talked with David Allan Evans, the poet laureate of South Dakota since 2002. 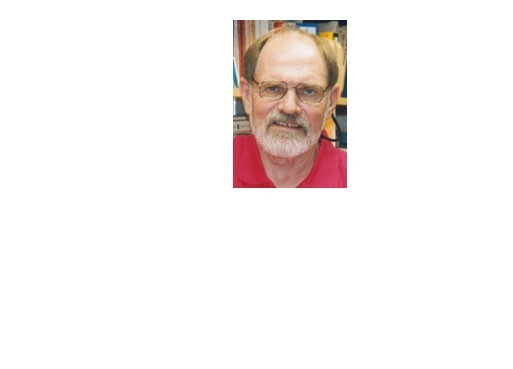 He has lived in Brookings, S.D., since 1968, where he was a professor of English and Writer in Residence at South Dakota State University until his retirement this spring. He is the author of five books of poetry and the author or editor of seven other books. 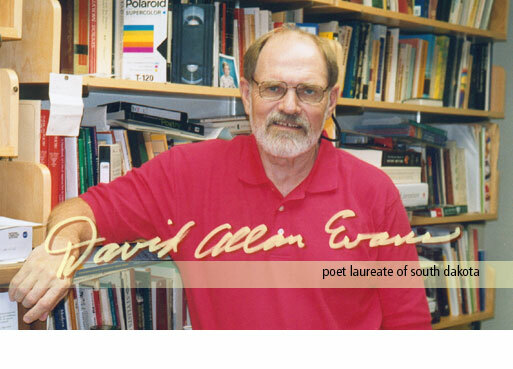 Born in Sioux City, Iowa, in 1940, Evans went to college on a football scholarship, and by the time he graduated, he was writing poems and short stories. He has degrees from Morningside College in Sioux City, Iowa, the University of Iowa, and the University of Arkansas, where he got his MFA in creative writing. After Long Busyness: Let me start with a rather broad question. How is poetry vital in American life today? David Allan Evans: That’s quite a question. Without getting too far into American life as such, I would say that poetry, as is true of any art, has its uses to communities as well as nations. Mainly–and let me qualify this further by saying that I don’t think poets have this in mind when they make poems necessarily; that is, I’m talking about effects and results more than causes and motives–poetry is something that, in the words of a well-known but underrated American poet who died recently, Richard Eberhart, “can make us bright.” In other words, it can at least slow by some degree the corruption we suffer when we aren’t aware of what is going on around us. Poets show us things clearly, they describe and tell stories with words and phrases that, when we pay attention, make us more awake and aware than we’d be if we hadn’t read them or heard them spoken aloud (spoken words, obviously, are tens of thousand of years older than written words, which have been around for a mere eye-blink of human time on the earth). The first poets must’ve been persons with unusual verbal ability who could describe and narrate so well that others around them were made more aware of what was going on in a dangerous world they all lived in–just like the cave painters doing those wonderful etchings of animals in motion, perhaps aimed at young hunters who had to know the dangers of hunting. Of course there have always been clever persons who could use words so effectively that they could make us buy damned near anything! It’s the same talent, the same impulse, I think. It’s a word talent. I like Barry Lopez’ phrase when he refers to the traditional Eskimos’ habit, after they had killed a polar bear, to propitiate the kill with gifts: “technique of awareness.” Poems, to me, are techniques of awareness. All art is made up of techniques of awareness. Maybe art began this way, who knows? But people do pay attention to those who can use words effectively. or who can represent reality with visual images, etc. 9/11, the death of Diana in England–these events brought forth all kinds of poems, poetry websites, books of poems expressing anger, bereavement, and so on. There’s a human instinct to reflect verbally on public and private things that shake us. ALB: You recently read at the South Dakota Festival of Books in Deadwood. How is poetry doing here in South Dakota? Who are the poets in the state or region worth mentioning? DAE: How is poetry doing in South Dakota? Lots of things are happening. The South Dakota Poetry Society is alive and well, taking on new members, having all kinds of contests in schools, including at the college level, and with adults. They helped sponsor me to attend the third gathering of state poet laureates this past summer, in Indianapolis. There are poetry slams in Sioux Falls, Vermillion, and Brookings and I’m sure elsewhere in the state. In Sioux Falls, poets took part in the annual Jazz and Blues Fest, for the third year in a row. In Sioux Falls there are regular readings at the Horse Barn and at Michelle’s, a restaurant downtown. Jim Reese, a poet and professor at Mount Marty in Yankton, started up a magazine called PADDLEFISH, which publishes poetry and prose, and started up a reading serious as well, at the college. The reading series is becoming quite popular, with a good-sized audience. There’s lots of poetry going on in Vermillion, with annual slams and writing contests, and even a new magazine. I should also mention Lee Ann Roripaugh at the university there; she’s published several books of poems and won awards for her poetry. Her father was recently the poet laureate of Wyoming. I’ll mention the names of a few of the poets in the state (beyond those listed above) whose work I’m familiar with, but of course there are lots more than are on my list: Linda Hasselstrom, Kevin Woster, Eric Lochridge and Bruce Roseland in West River; Charlles Luden, Janice Mikesel, Patrick Hicks, Ruth Johnson, Rosemary Moeller, Leo Dangel, Darla Bielfeldt, Mary O’Connor and Carlee Swann in East River. As I said, there are plenty more poets around the state; these are just a few. And I’m more familiar with poets on the east side of the river, where I live. Poets in the region? I don’t know how big a circle to draw, but here are a few: Ted Kooser, Bill Kloefkorn, and Greg Kuzma in Nebraska; Jim Heynen, Robert Hedin and many, many more in Minnesota; Robert Dana, Marvin Bell and many, many more in Iowa. We’re surrounded by hundreds of fine poets all over the Heartland. Take a look at the Heartland books edited by Lucien Stryk if you want to get a sense of the richness of Midwestern American poetry. ALB: What advice do you have for aspiring poets, as far as getting published, getting recognized and otherwise developing a career in poetry, if there is such a thing? DAE: My advice for aspiring poets: The most important thing is to work very hard at your writing. I have always said that it takes about a decade to be really proficient at something, and that’s certainly true with any kind of writing. Another thing connected with the first point: Be appreciative of any kind of help you can get from fellow poets and especially experienced poets, those who have been around the block a few times. You can learn a lot from persons who are really good at what you want to be good at. Never forget that. Now as an aspiring poet, you get sort of silent advice and pointers by—guess what? —reading a lot of poetry. Somebody asked me recently why I write, and I said that I began to write in the first place because I wanted to be able to write as well as those poets whose works I admired in the ‘50s especially: Eberhart, Nemerov, Whittemore, Shapiro, Larkin and so on. I looked at those poems and said to myself: “Man, if I could do that with words!” And of course, I’m like any artist or writer: I want to produce something so damned good that a whole lot of people won’t be able to forget it. Also, you’ll find yourself writing poems like the poems you admire. That’s okay. You’ll have to do that in order to some day get to your own way with words. As I said, it takes a while. Tons of dirt for every nugget you find, James Dickey used to say. And never forget that you’re not a writer as much as a reviser. All writing is revision. Re-seeing, re-doing, checking for accuracy, etc. When you err, make sure you err on the side of too much work rather than too little … I’m beginning to sound like a professor again… One way to get help early in one’s career is to get around to workshops and conferences where poets gather and read and talk. I read Bob Dylan’s first volume of his autobiography recently and was struck by how eager and ambitious he was early in his career. He hung around the best musicians and singers, young and old, mostly in New York City because that’s where they hung out and performed, and befriended as many as he could. He was extremely gregarious. Now some poets and writers are more gregarious than others. It comes naturally to some people (never has come naturally to me, by the way, since I’m pretty inner-directed). But it’s good to get around and meet people, find out whose publishing what: magazines, presses, etc. You learn this—it doesn’t just happen by osmosis. “I happened to have met a fellow who knew a fellow who” … you know how that story goes … and it all helped me in getting my first book of poems published back in the ’70s. I’ll put it this way. Eventually you realize that there are two main things involved in being an artist. First, you produce the art (or poetry). Second, you find a market for it, somehow—or else. Some people are excellent at doing the first part and lousy at the second part. Or vice versa. Selling your stuff to others is a talent in itself. Shakespeare, of course, had both talents in perfect balance, and he even ended up rich! But an aspiring poet must learn the marketing aspect. You want to be good, sure, but you also want people to read your stuff. Don’t neglect the second part. Be pro-active: get readings, go to readings, exchange readings with others, and so on. Reciprocity is always a good thing. It all helps. And there’s another consideration, a sort of downside to what I just said: Every aspiring poet should know that he or she won’t get lot of help from other poets, generally. In other words, like any endeavor, writing and publishing are competitive endeavors. The great big invisible elephant always in any room you happen to be sitting or standing in is competition, status. You don’t have to read Darwin to find that out. Just go to a Little League game some time and watch the kids and especially their parents … We’re all wanting to be published, all wanting attention. After all, being an artist means to be a person who really believes his or her work is, if not the best, damned good and should be read widely by thousands of people. That brutally honest writer, George Orwell, was right in his well-known essay, “Why I Write”: one of the strongest motivations to be a writer is “sheer egoism.” And in our own time, Joan Didion seconded Orwell in her essay, also called “Why I Write” (admitting that she stole the title from Orwell because she agreed with so much in it): “In many ways, writing is the act of saying ‘I,’ of imposing oneself upon other people, of saying ‘listen to me, see it my way, change your mind ‘ . . . There’s no getting around the fact that setting words to paper is the tactic of a secret bully, an invasion, an imposition of the writer’s sensibility on the reader’s most private space.” So, realize that you have to go on your own steam as a writer, pretty much, just as in anything you do in life. Also, I would say to the young American writer: appreciate the fact that you live in a country where you can pretty much say what you want to say. In a recent Atlantic Monthly, a number of writers, philosophers, scientists, etc. were asked to say something about “The American Idea.” I really like what John Updike wrote: “The American idea, as I understand it, is to trust people to know their own minds and to act in their own enlightened self-interest, with a necessary respect for others.” That’s wise enough to cut out and hang up on your refrigerator or close to your computer. It speaks well to the give and take of being human as well as being an American writer. I would also say this to aspiring poets and artists: Make sure you have a day job, preferably with good benefits such as savings and insurance. Even the greatest of us all, Mr. Shakespeare, had a day job. He was an actor. You simply can’t make a living at writing poetry, period. You can make a little money doing readings and getting a poem published, now and then, but not enough to keep beans and bread on the table. I was lucky in my day job for the last 40 years: I was a professor and so I didn’t have to feel guilty by writing on the job. PART of my job was to write, part, to teach. There’s no better day job for a writer than that. And what I taught I learned from. I never felt that teaching was an impediment. The more I taught the great poems, the more I learned from them myself, as a writer. (The 21st century may be the first year of The Age of Multi-tasking.) I was never shy to admit this. No wonder most poets and writers work in academia. If a young poet or writer wants this kind of job, of course, he or she has to have a degree, usually an MFA. It’s like a union card these days. No guarantee either—there’s lots of competition among MFA programs too, lots of people with the degree competing for jobs, which are more and more part time and not full time. ALB: You’ve retired from the university, but you’re still the poet laureate. What’s next for you? DAE: Yes, I’m still poet laureate and I’ll keep doing what I can do to promote poetry in the state and region. What’s next for me? Nothing has changed except that I no longer have a steady day job. I still spend a great amount of time in my basement office, writing, revising, corresponding, reading—doing all the things I’ve always done. One thing I’ve learned about retirement is that if you haven’t done something you’re not used to doing, you probably won’t do it after you retire. Fishing, bowling, working a garden. (I thought I’d be cooking, but that hasn’t worked out either—yet anyway.) You go on doing what you’ve always done. And I’ve always—at least since my 20s—been writing poems and stories and essays. I just want to see how long I can keep doing these things. I will, by the way, still teach workshops and maybe even a class now and then, but no more full-time work if I can help it. ~ by ericedits on October 19, 2007. This might be the first time I’ve read a poet interview where the poet didn’t sound like a complete asshat. accepted it. I was hooked.